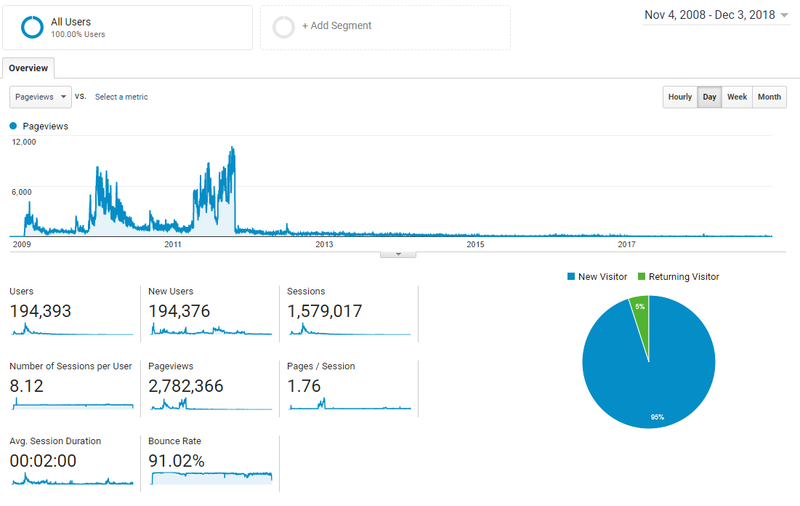 Dear friends, Last 10 years i monitor my website traffic with Google Analytics. See below chart. My website processed more then 194 thousand visitors and 2.7 million page views. That’s really great! Thanks!